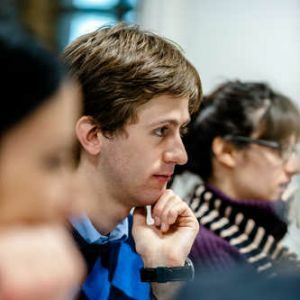 Kingston University offers both undergraduate and postgraduate teaching training degree courses. Our degrees will equip you with the skills and knowledge to develop your career in teaching and education. 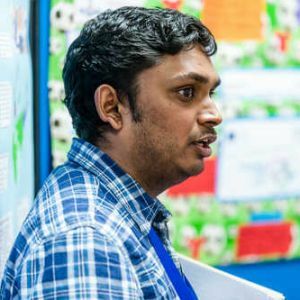 This course will equip you with the skills and knowledge to become a highly effective primary teacher working in the stimulating and dynamic setting of the primary classroom. 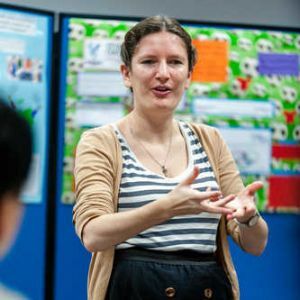 This part-time course provides intensive specialist training in becoming an early years teacher that will enable you to gain the Early Years Teacher Status in one year. This course provides an intensive, highly challenging and rewarding programme that will enable you to qualify as a primary teacher (Key Stage 1 and 2) or Foundation Stage/Key Stage 1 in one year. This intensive and well-supported year of training will prepare you to teach children at Key Stage 3, Key Stage 4 and in the sixth form. 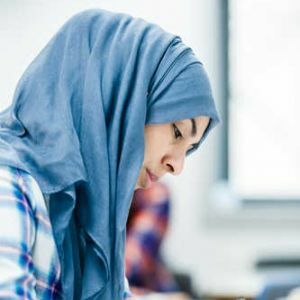 The Learning and Teaching in Higher Education PgCert is designed to support individuals wishing to teach in higher and further education and to learn to do so in alignment with principles of student-centeredness and active learning in a classroom setting.